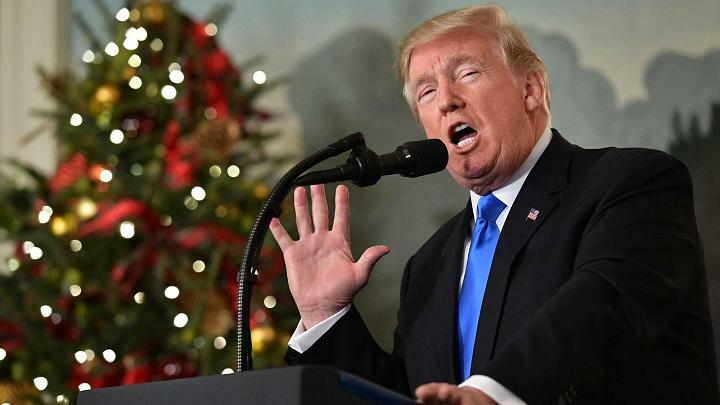 Before and after Donald Trump’s Thursday announcement, I joined radio and TV outlets from four countries — Ireland, Austria, France, and the UK — to explain why Trump is recognizing Jerusalem as the capital of Israel and why it is an ill-considered and destructive step. There is going to have to be concerted action by France, by other European countries, and especially by countries in the region to find a way forward after what Donald Trump has done. In the eyes of the Americans, the Israelis can now do anything they want — politically, economically, militarily — with Jerusalem. It also effectively means that the status of East Jerusalem is taken off the table in any Israel-Palestine discussions. During his campaign last year, Donald Trump pledged to evangelicals and to pro-Israeli American Jews that he would move the American embassy to Jerusalem, thus recognizing it as Israel’s capital. Perhaps even more importantly, Jared Kushner, Donald Trump’s son-in-law, has effectively taken diplomacy — at least in the Middle East — away from Secretary of State Rex Tillerson.